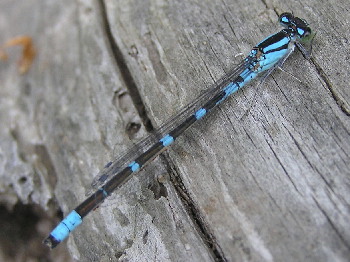 Those dancing colours across a lake on a hot day are probably members of the order Odonata: dragonflies and damselflies. These amazing aerialists are characterized by four long, narrow wings and a very long slender body. Their wings propel them through the air, hovering and darting hither and thither. They also have sharp mouthpieces designed for chewing the mosquitoes, flies, bees, butterflies and other prey. 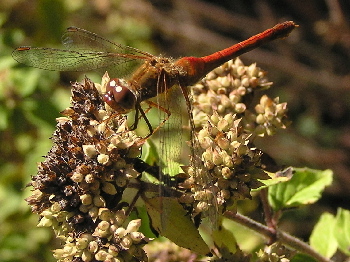 In fact, the name "Odonata" comes from the Greek words for teeth or jaws. 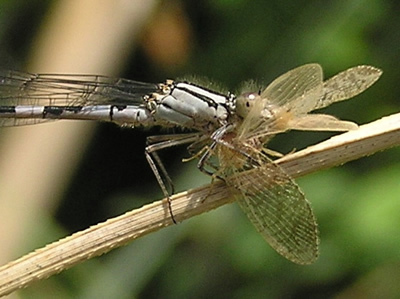 In the image on the right you see a female Tule Bluet Damselfly, Enallagma carunculatum feasting on a Brown Lacewing. 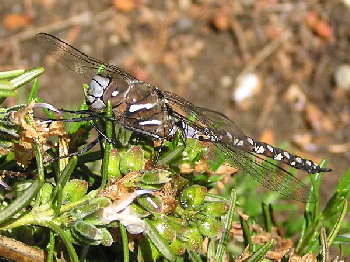 Some of the largest, fastest and most powerful and most common are the Darners. 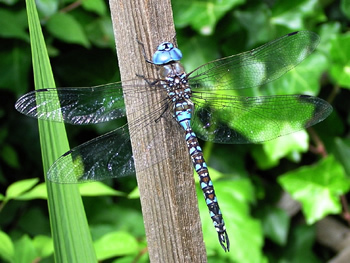 At left is the Blue-eyed Darner, Rhionaeschna multicolor. Speeding through the air at over 30 miles (50 km) an hour, Darners capture their prey with their legs, sometimes even hunting other dragonflies! 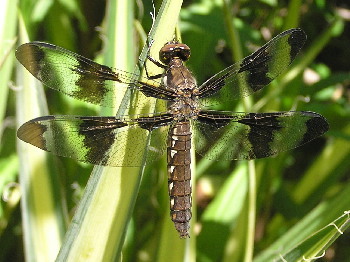 Dragonflies are the largest and fastest members of this group. 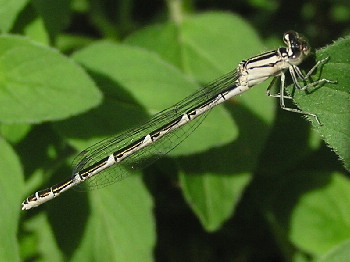 Damselflies meanwhile are characterized by being smaller and thinner and with more oval-shaped heads than round ones. 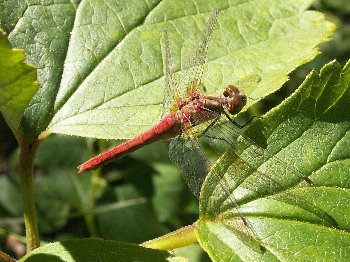 The biggest difference though is that dragonflies open their wings when resting, whereas their cousins the damselflies fold their wings together. A Word of Thanks: Many thanks to Dr. Cannings, Curator of Entomology at the Royal British Columbia Museum in Victoria for his much-appreciated help in the identification of these images.